The Genesis of the French Revolution, first published in 1994, offers an interesting synthesis of the long- and short-term causes of the French Revolution. Instead of focusing exclusively upon developments within France, the book immediately places the country, and its revolution, within an international setting. 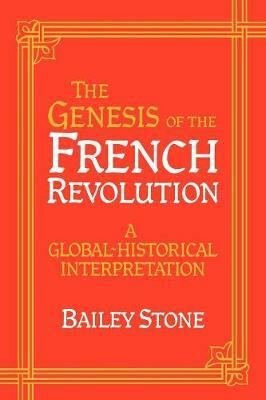 Bailey Stone argues that the French Revolution stemmed from the pre-revolutionary state's converging failures in international and domestic affairs; the monarchy failed not only to remain in touch with changing social, intellectual, and political realities at home, but also to harness its citizens' ambitions and talents to the purpose of maintaining the country's international power and prestige. This analysis also provides a key to comprehending the course of events in revolutionary and post-revolutionary France - and an insight into why revolutionary movements broke out in the former USSR and its surrounding countries.